First off, what is the M855A1 enhanced performance round? The M855A1 Enhanced Performance Round (EPR) was introduced as part of the US Army’s “Lead Free Program” and is in-line with Army environmental stewardship initiatives. The requirement for the M855A1 project was to deliver an environmentally friendly, M4 optimized, replacement for the M855 that is capable of the same or better performance. 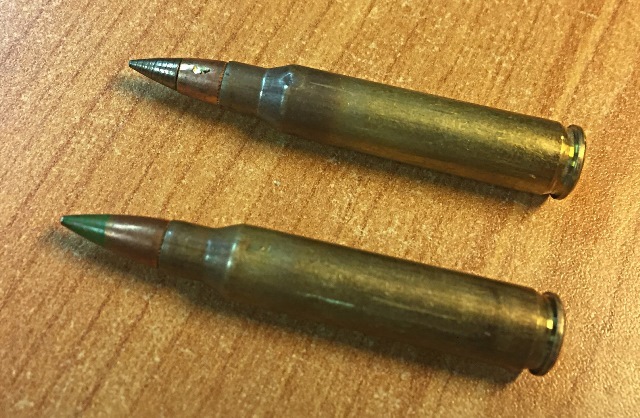 During development, the cartridge’s designers also took the opportunity to address the performance shortfalls of the M855 "Green Tip" round when fired from the M4 weapon system. The M855 round was originally designed for a 20” barrel with 1:9 barrel twist, and as a result, offers sub-optimal performance when paired with the shorter, 1:7 twist barrels of the M4 weapon system. The US Army Picatinny Arsenal claims the M855A1 round displays reduced muzzle flash and provides increased accuracy, muzzle velocity and terminal effects compared to the M855 round when fired from the M4 family of rifles. 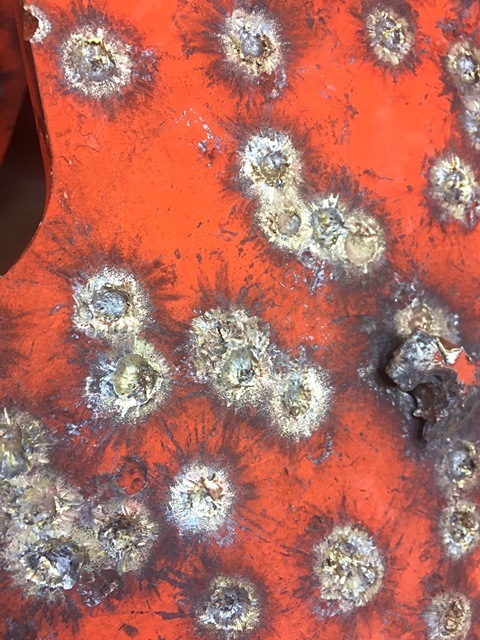 While our range day didn’t allow us to assess accuracy since we were shooting steel, it was obvious the M855A1 round is much more devastating than conventional M855 ammunition. 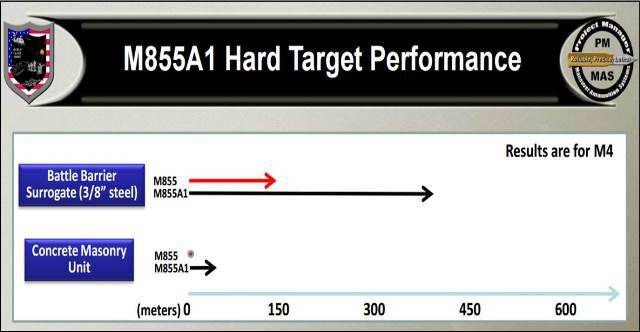 One of the terminal effect improvements of the M855A1 round is increased hard-target-penetration. 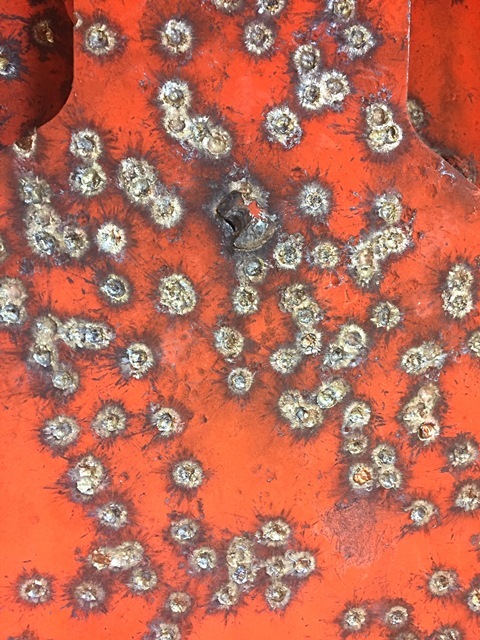 This is attributable to the completely lead-free, copper core, steel "stacked-cone" penetrating tip projectile that is immediately noticeable when compared to a conventional M885 round. Numerous articles have been penned about the M855A1 failing to live up to the performance claims made during the introduction, but increased penetration seems to be universally accepted. At 100yds, the M855A1 ammo mangled the steel targets. 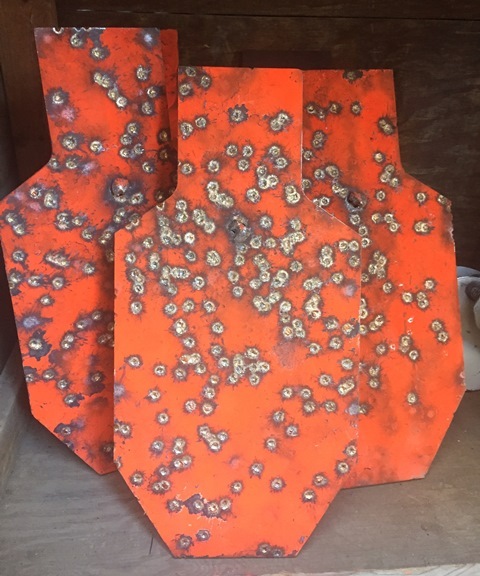 These same targets showed little to no degradation when used with conventional M855 “Green Tip” ammo fired from the same M4 rifles at similar range. Initially skeptical that the M855A1 was significantly nastier than the M855 we are familiar with, we did not hesitate to set-up the steel at 100 yards for our usual range day. What we discovered at the conclusion of our rifle session, was the utter annihilation of all of our AR500 targets. 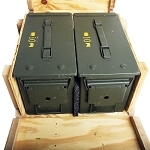 At present, M855A1 ammunition is only available for sale to military, government, and law enforcement agencies, but if you happen to be lucky enough to get access to any M855A1, the improved terminal effects against both soft and hard targets make this round an appealing addition to any Zombie apocalypse load-out or bug-out bag. 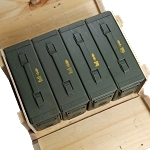 Once the military has had opportunity to fully field this ammunition, supply will likely loosen up to the commercial market similar to the XM series of M193 and current M855 ammunition. 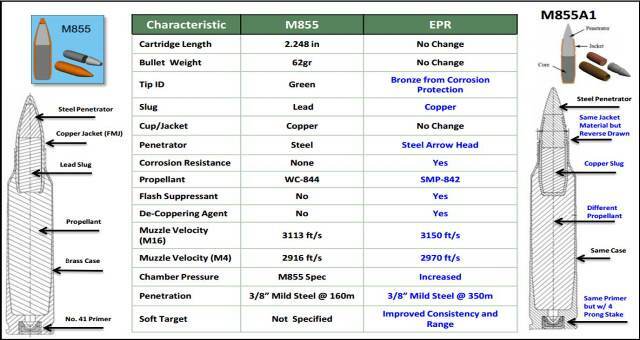 Small quantities of M855A1 can be purchased online at sites such as Gunbroker.com if you are willing to pay the steep price tag.